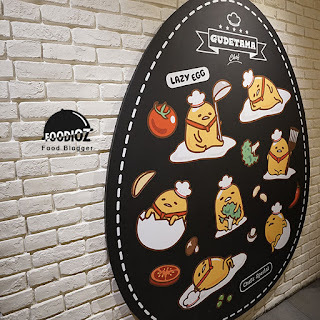 Every corner we could find Gudetama displays in different positions, then a pictures along the walls, tables and also the Gudetama-shaped food. 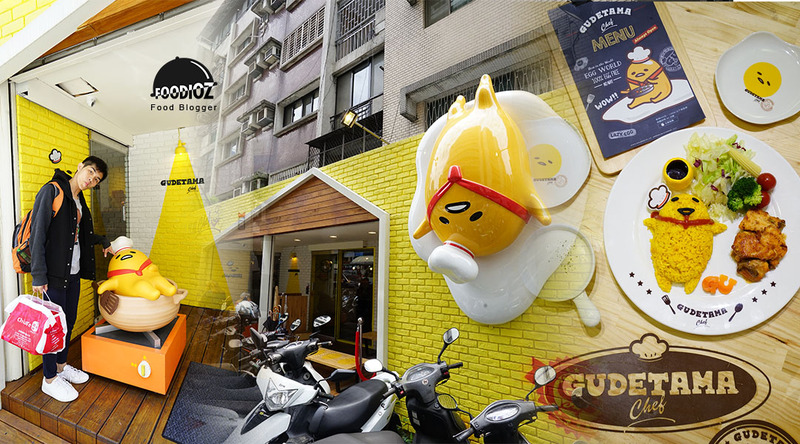 As information, in Taipei it is almost all written in Mandarin and no English at all. 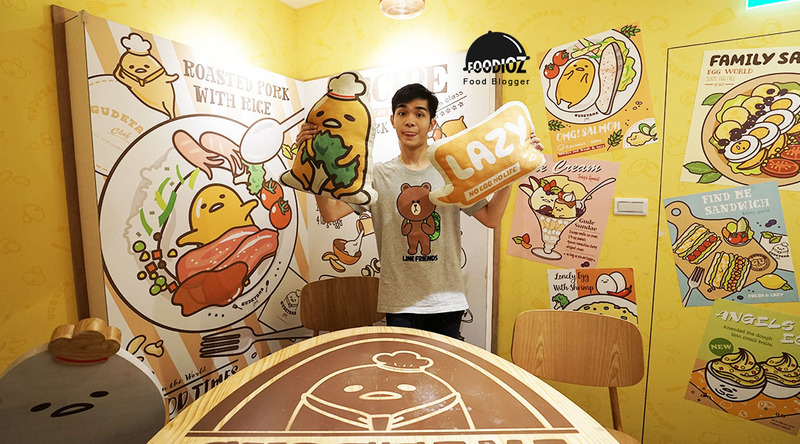 In addition there are many language barriers in which the dominant Taiwanese can not speak English. So for you who want to travel to Taiwan, Taipei would be fine I recommend with modern facilities and there are still some young generation who can speak English. 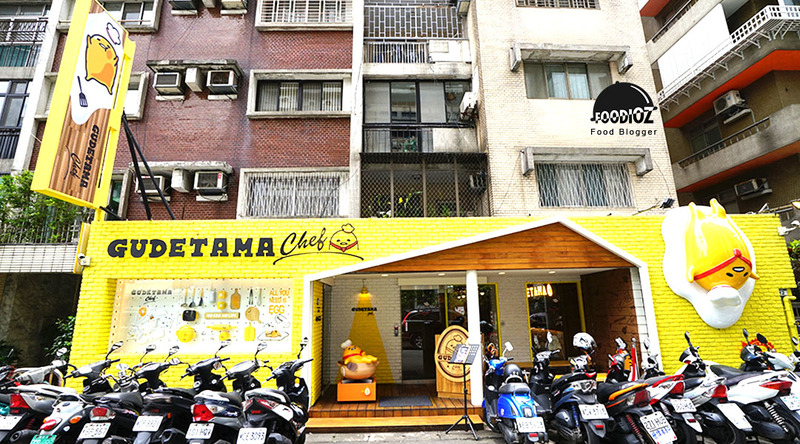 But if you plan to travel to all parts of Taiwan, other cities, my suggestion is to use the tour service if you are not fluent in Mandarin. In other small towns there are not even any English writing and everyone are not able to speak English. At lunch time, the cafe was quite crowded with visitors. 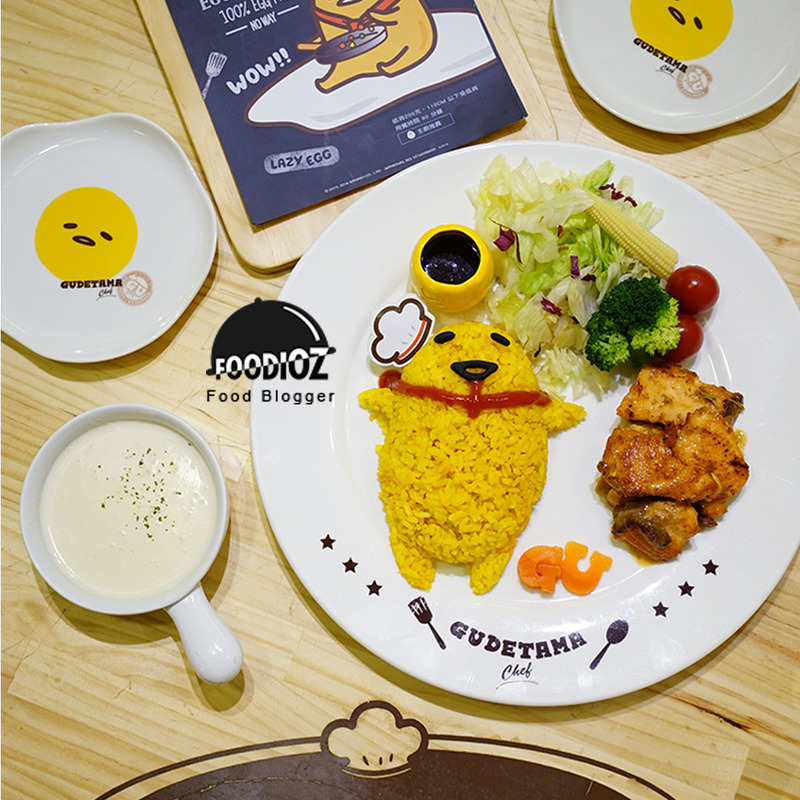 The menu offered is quite varied, modern fusion foods with a funny and unique form of Gudetama. Available appetizers, main meals, dessert to snacks. I tried Butter Fried Rice, Gudetama-shaped yellow rice complete with eyes and mouth. It served with salmon, salad and cream soup. 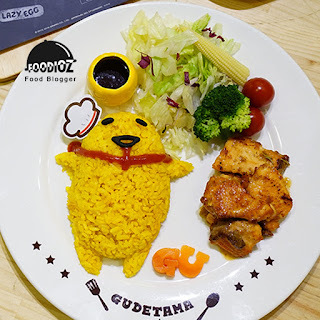 I need to say that, this is one character of the cafe not only with a unique concept, but also with food that has a delicious taste. Butter ricenya savory and fragrant aroma, then the salmon was cooked with a legit spice and cream soup with the right viscosity to make this dish is very delicious. In addition, I also tried Egg pancakes, oval-shaped pancakes resembling Gudetama with a very cute pattern. Egg pancakes are just a few pieces of pancake bread without any filling. It feels quite ok, the texture was solid and not too sweet. 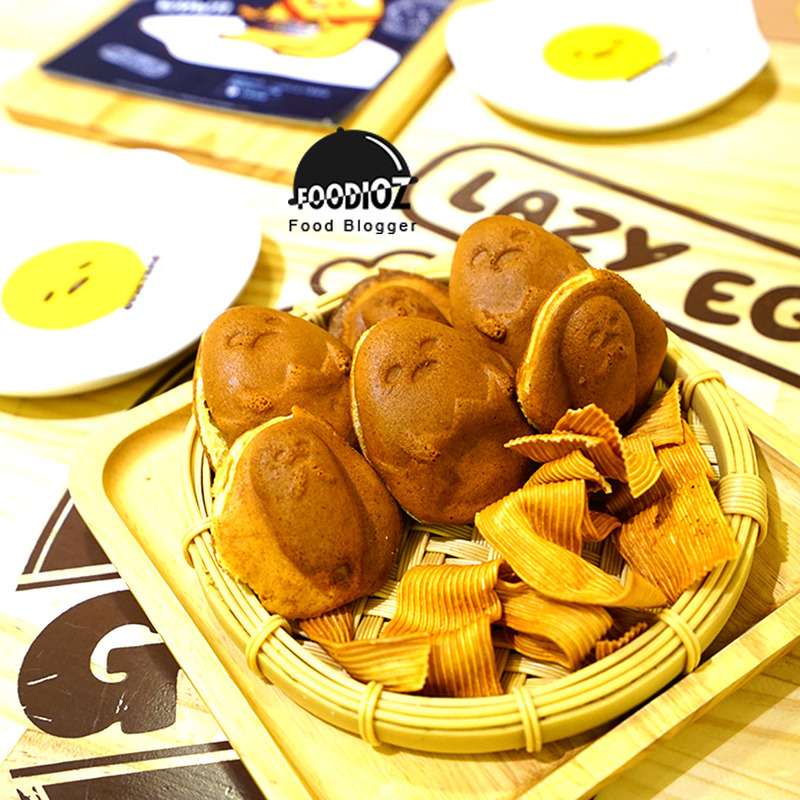 it was served with snacks that have savory salty to provide a taste balance. 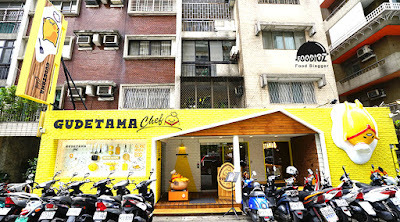 For those of you who want to visit Taipei, this one cafe is worth a try. 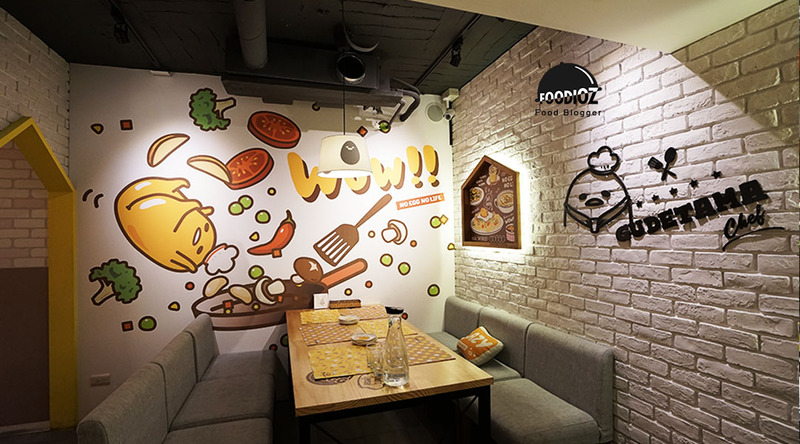 In addition they offer good food, service that looks ordinary but fast enough serving of food, then we may also do photo activities with the fun instagramable spots. 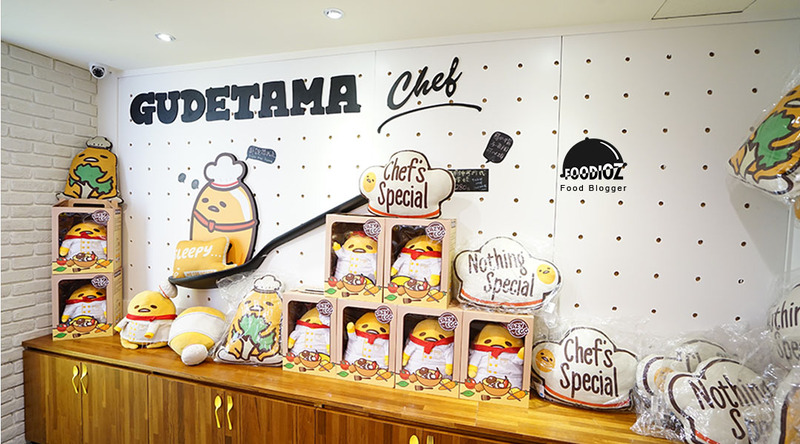 Do not miss here is a souvenir shop if you want to have some unique items with a funny Gudetama theme. Starting from dolls, wooden boards, hangers and other displays.